Bonobo ETL v.0.5.0 is now available. As always, you should upgrade your projects as soon as possible and give feedback if anything goes wrong. The easiest option for installation or upgrade of Bonobo is through PyPI, using "pip install -U bonobo". More installation options are available in the documentation. bonobo.pprint and bonobo.PrettyPrint have been removed, in favor of bonobo.PrettyPrinter (BC break). 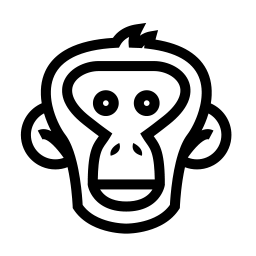 The bonobo.config API has suffered a major refactoring. It has been done carefully and most of your code should work unchanged, but you may have surprises. This was necessary for this API to be more uniform (potential BC break). Secondary APIs start to be more uniform (bonobo.config, bonobo.util). Graphs now have a .copy() method. New helper transformations arg0_to_kwargs and kwargs_to_arg0. The unique pretty printer provided by the core library is now bonobo.PrettyPrinter(). Services now have “fs” and “http” configured by default. New bonobo convert command now allows to run simple conversion jobs without coding anything. New bonobo inspect command now allows to generate graphviz source for graph visualization. A “transformation factory” makes its first appearance. It is considered a preview unstable feature. Stay tuned. Configurables have undergone a refactoring, all types of descriptors should now behave in the same way. An UnrecoverrableError exception subclass allows for some errors to stop the whole execution. Add a reference to graph context (private) in service container. Few internal APIs changes and refactorings. Documentation, more documentation, documentation again. Thanks to Parthiv20 for his work on windows support, bonobo should have nice output on windows too, now. Thanks to CW Andrews for his work on environment variables usage and documentation. Thanks to Alex Vykaliuk, Tomas Zubiri and Vitalii Vokhmin for their other contributions. Thanks to anybody who contributed whose name would have tricked my vigilance. We tried to test as much as we could this release in various setups and using different codebases. Due to the young age of bonobo, to the limited amount of energy I can invest, to the fact that the internal plumbery is moving a lot and to the «real-world» factor, there may be things that will break. Please report any issue you'd have so we can try to avoid such problems in the future.